The Walking Dead Supply Drop is the official subscription box of AMC’s The Walking Dead. In each box, you’ll get one exclusive shirt, plus a number of other collectibles. This winter box has a cheeky sweater pattern that felt ironically warm and fuzzy for a show that is decidedly not. 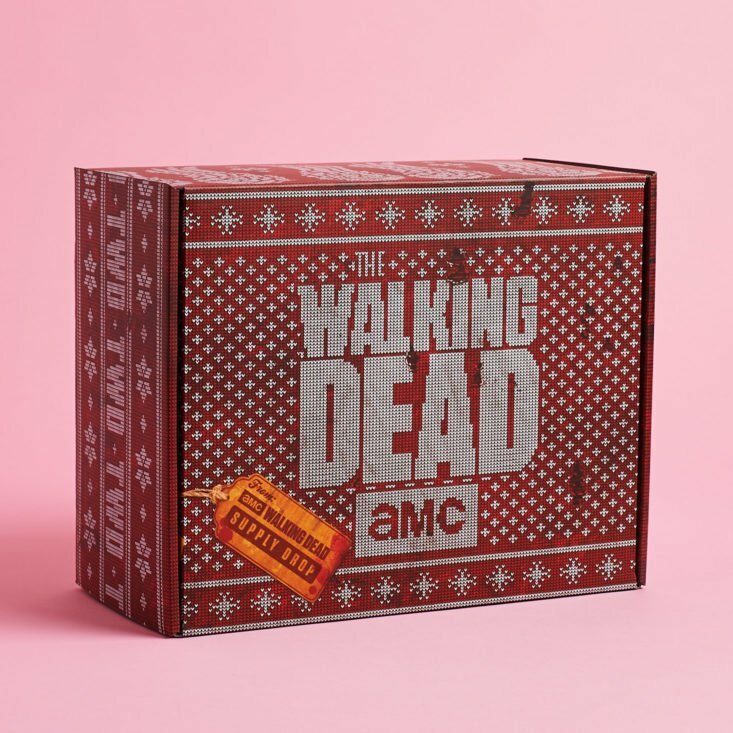 The Products: The Walking Dead Supply Drop is the official subscription box of AMC’s The Walking Dead! Delivered quarterly, you’ll receive one exclusive shirt, plus a number of other collectibles in every box. Included with this drop was a fold out information sheet. It had a summary of all the items inside. Carol was always one of the most interesting characters in the show for me personally. She has quite an arc! This pin set has her and her love, King Ezekiel. I wish his pet tiger Shiva was included! The Carol pin makes me really miss her short hair. I am more than sure this hoodie made a ton of subscribers very happy this quarter! So many people absolutely love Daryl Dixon and this well-detailed sweatshirt is an excellent tribute to his winged vest. I like that it is very wearable and subtle, while still being incredibly iconic when it comes to this franchise. It is a heavier weight and super warm! This print is really very cool! I love the style chosen by the artist Tracie Ching. The minimal color palette and engravers style really works for this trio of our favorite characters. There is also a red variant included in a handful of boxes that is super rare! We received the orange one, which I actually prefer, personally. Included is a certificate of authenticity, which this box tends to send with its more unique offerings. The Art of Peace is an iconic work by Morihei Ueshiba. It was also a source of comfort and clarity for Morgan that completely changed his outlook on life after the death of his wife and son. What makes this version of it unique is that it comes with a cool box and bookmark! Like our hoodie above, I feel like Daryl would be totally into this beanie. Again, this accessory is not over the top branded, which for someone like myself, makes it even better. I don’t often tend to broadcast my fandoms in how I dress, but I love a cleverly themed item that only other true fans would recognize! 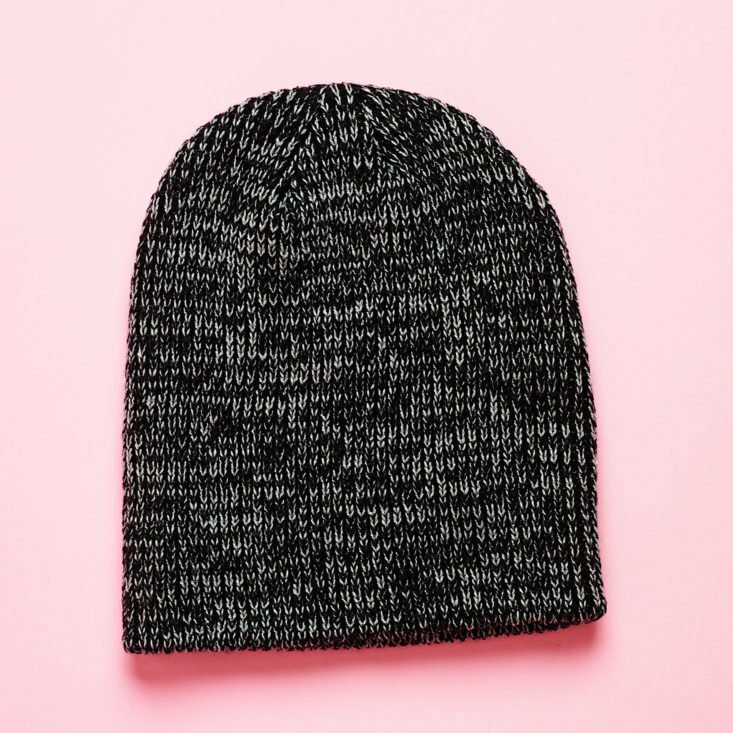 This beanie is quite warm and has a sharp blend of both black and grey yards. The faux leather patch simply states “TWD”. I thought this final item was super clever! It is a set of 5 different wrapping paper sheets that are all Walking Dead themed. Although a few of them are obviously Christmas themed and might have to wait to be used until next December, the blue and green ones could be used any time. My personal favorite would have to be the zombies in Santa hats! Verdict: This box had a really great mix of items for any Walking Dead enthusiast. You get two wearables (hat and hoodie) along with collectors pins, an art piece, a thoughtful prop replica book, and wrapping paper if you feel like gifting any of the items. The curators did a great job of including items that touched on many different characters, so at least one of your favorites was likely to be included. One of my favorite things about this box is that you get some really interesting items you wouldn’t be able to source anywhere else, like the art print. The exact value of this box is hard to pinpoint because the items themselves are exclusives, but I know that a good hoodie can run at least $25-$30 at a minimum and limited art prints can be really expensive too. Though I do not have numbers to offer, the value of this box is really easy to see that it is a good value for it’s $50 price tag. Can you still get this box if you sign up today? No. The first box in your subscription will be noted in the details section on this page. Value Breakdown: Taking into account the $49.95 box cost + $6.99 shipping, each of the 6 items included in this box has an average cost of $9.49. Check out all of our Walking Dead Supply Drop reviews and find other geeky boxes in our Geek Subscription Box Directory! What did you think of the Winter 2018 shipment from The Walking Dead Supply Drop? How do subscribers rate The Walking Dead Supply Drop? Do you subscribe to The Walking Dead Supply Drop? Add your rating now! I am just annoyed at how long it takes after they take our money to ship the box. 1.5 months after they have the $$$, unacceptable! I like the book inclusion as a subtle little tie-in to the show – and that beanie great! I love things like this too! I love things from my favorite fandoms that easily make their way into my home decor or everyday life without being super in your face. I want that hoodie and beanie!!! The hoodie is my new favorite thing to sleep in. And the beanie has been stolen by my husband. He steals all the beanies.